After a horrendous weekend of torrential rain and incessant wind, Monday started brightly and the sun shone in the early morning, so I decided to take a bike ride around Bannockburn. First stop was to spot the Kestrel on the old station road but its now been a few weeks since i last saw it. Onto the swans pond where I scared off one of the Grey Heron’s from the far pond before I could get a photo of it. But while feeding the swans I came across something in the water which I had seen the Heron feeding on a few weeks earlier, a toad, not just one but a whole load of them. The young ones were hitching a ride on their parents back and made them look even bigger than you can imagine, I managed to film two pair of these piggy backers and it made a fun video. The common toad is a widespread amphibian found throughout Britain. 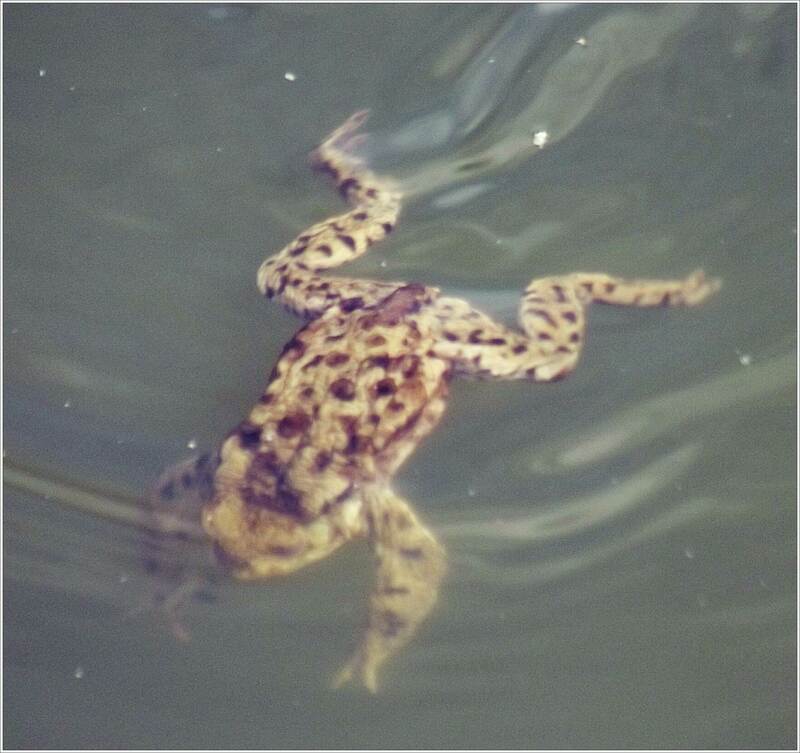 Common toads areabsent from Ireland.